Thinning eyebrows aren’t simply the result of over-plucking. 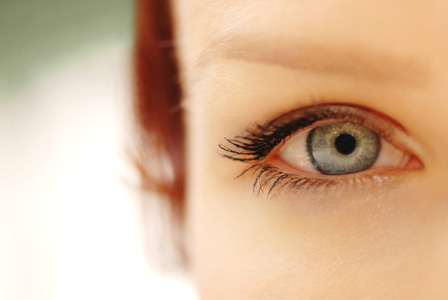 Sometimes, women experience thinning eyebrows as a result of a medical condition or the aging process. Here are our helpful tips for remedying or disguising thinning eyebrows. Nutrient deficiency. If you’re deficient in your vitamins and minerals, your whole body will start to show it. Vitamins A, E and D promote hair growth, and vitamin B mitigates bodily stress responses, which can prevent hair loss. A deficiency in any of these vitamins can cause thinning eyebrows. Regardless of its origin, eyebrow thinning can be quite distressing for women. Eyebrows are a major feature of your face and presentation, so it’s important to know how to address the problem effectively. Diet and supplements. Hair loss caused by a vitamin deficiency or eczema can be addressed with a healthy diet and targeted vitamins and supplements. Make sure you’re getting plenty of vitamins A, B and D by eating leafy greens, nuts and seeds, fish, eggs and whole grains. If you have any gaps in your diet, take the necessary supplements to promote hair growth. Your doctor can give you direction about what to eat and take for support. While you wait for your doctor’s recommendations to take effect, you can mask the problem with a high-quality eyebrow gel. Unlike eyebrow pencils that can lead to a brow that looks drawn on, an eyebrow gel enhances your eyebrow shape with a soft color and strong hold. We like Laura Mercier Eye Brow Gel, available at Nordstrom for $20. Prior to using the gel, pencil in small sections of the brow that may be entirely bare of hair. Using a pencil sparingly will prevent a brow line that’s too harsh for your face.